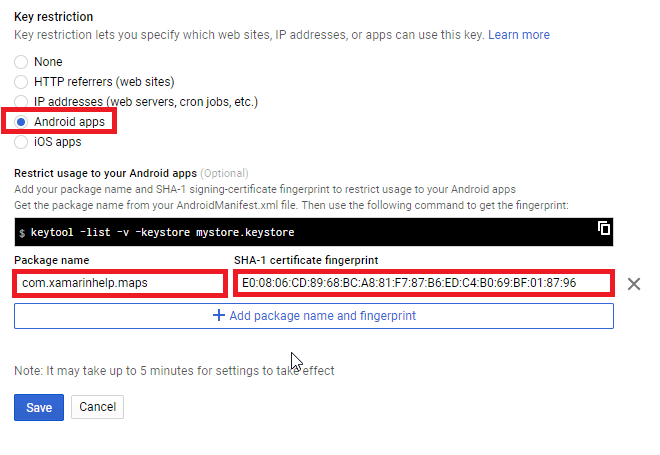 If you want to use Google Maps in your Xamarin.Android app, you will need to obtain an API key. It’s easy to generate an API Key, but we will also want to restrict it’s usage, so that only your app can use it. This alleviates the security concern of placing the API Key in your app, and someone taking it for their own use. Click Create Project (If you don’t already have one, otherwise it defaults to an existing project). If you have an existing project, but want to create a new one, click the drop down, then the + button. 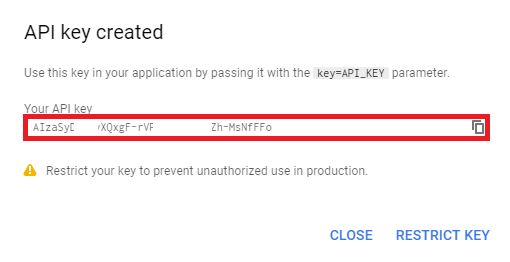 This is your API key that you can use in your Android app. In your AndroidManifest.xml file, inside the application tag, place your API Key. This API Key is now available, but can be used with anyone who has access to it. If you are using it Server side, then the security issues aren’t too great. However, if you need to distribute this with your app, then it is best to restrict this, so only your app can use it. We first need to generate a fingerprint. This is done via the command or terminal line. And is in this format. For windows, you will find the debug values for your keystore here, and the default path for the Java SDK. You will need to go to this path, in the commandline to run the keytool. For a Mac, they will be as follows. Here is an example, for myself in Windows. The example output, you will get is. What you want is the SHA-1 signature. Now, lets go back to the developer console. Add the fingerprint, and your Xamarin.Android apps package name, and save. Please note, that this has shown you how to do it, for a debug version. Create a new Fingerprint, against your production Keystore, before you deploy this to the PlayStore.